Lake Havasu City, AZ is a city located along the Colorado River and home to the beautiful London Bridge. According to 2010 Census Bureau estimates, the population of the town is 52,527. Lake Havasu City, AZ is a huge tourist attraction for many seeking to see the infamous London Bridge. The London Bridge was relocated to Lake Havasu City, AZ 1967. The London Bridge orinally was located in London, England and spanned the River Thames. Robert McCulloch was the person behind bringing the London Bridge to Lake Havasu City, AZ. The London Bridge was purchased for $2.5 million and cost another $7 million to disable and reassemble. The move from London, England to Lake Havasu City, AZ took approximately 4 yeard to complete the move. Lake Havasu City, AZ is a a destination for more then just tourist of the London Bridge. During the Spring months here in Lake Havasu City, AZ the community is joined by university students during a time known as Spring Break. After being featured on MTV for MTV Spring Break Coverage Lake Havasu City, AZ has become the destination for Spring Breakers. College students from around the nation come to enjoy the watersports and warm weather. 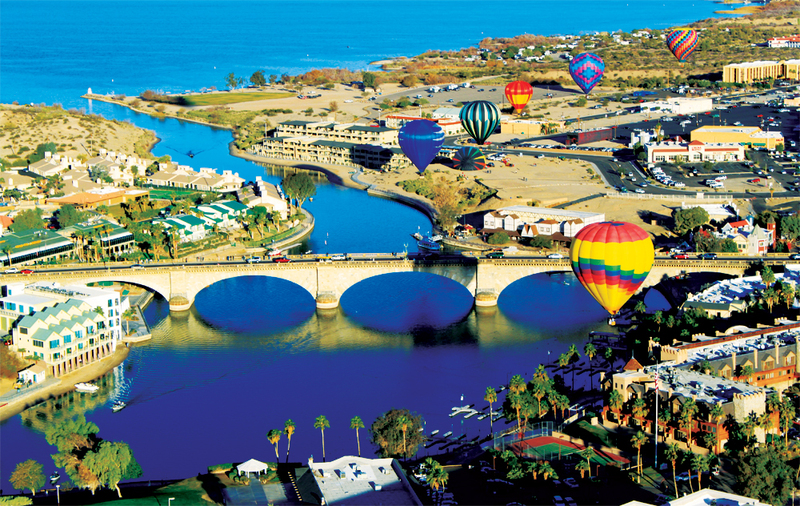 Lake Havasu City, AZ is also a city full of events. Lake Havasu City, AZ is the home of the Chillin-n-Swillin Beer Festival which is an annual charity event, the Havasu Triathlon, Havasu 95 Speedway, the Western Winter Blast pyrotechnics convention, the International World Jet Ski Final Races, professional fishing tournaments, many boat regattas, the nation's largest boat poker run Desert Storm, Havasu Island Hot Air Balloon Fest & Fair and many many more! Lake Havasu City AZ Real Estate is what we specialize in. Whether you are looking to buy, sell or invest in Lake Havasu City Real Estate or simply find information regarding real estate in Lake Havasu you have come to the right place. Vicki Runyon runs of the top real estate teams here in Lake Havasu City, AZ with a team of 4 working 7 days a week to help you with your Lake Havasu City Real Estate needs. With over $100 plus million dollars in Lake Havasu City Real Estate sold in the past 10 years Vicki Runyon and her team are confident they can help you with your Lake Havasu City Real Estate. Lake Havasu City foreclosures can be some of the best deals on the market. You can search allLake Havsau City foreclosures currently for sale here on www.SearchHomesInHavasu.com. Foreclosures are not always the easiest to find and/or negotiate so make sure when searching for foreclosures you consult a real estate professional like The Vicki Runyon Team. Having sold mulitple Lake Havsau City foreclosures in the past 26 years The Vicki Runyon Team is here to help. Give Vicki and her team a call today (928) 680-8161 or contact us here.